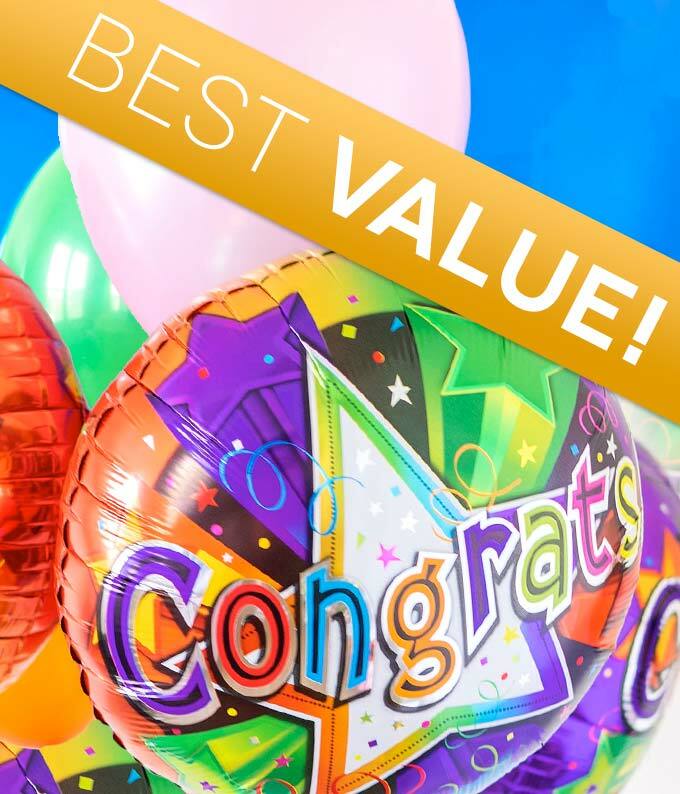 Celebrate every special occasion with balloons! Perfect for sending to say congrats on a graduation, promotion or new baby. This balloon bouquet is created by a local florist and available for delivery today.